Andros Island. The Bonefish Mecca of the Bahamas. The Bonefish Capital of The World. Talk to any fisherman that has an interest in saltwater fly fishing and they will tell you that Andros Island is home to some of the largest bonefish in the world. A glance at a map of Andros reveals more bonefish habitat than any other island of the Bahamas and, in fact, the entire world. Years ago, when bonefish lodges were first being established on Andros, the thinking was that anglers came to fish and did not care what they ate, where they slept, or whether the shower water was hot and abundant. Locations for lodges were chosen without thought to the ease of access to the fishery but chosen instead because they were in the home settlements of the founders on the eastern shores of Andros and often on land they already owned. Access to the Bights is sometimes possible from these locations by boat rides on the ocean, windward side and rough deep channel crossings. In some cases, the ocean ride is simply too far to be safe, practical or comfortable and boats must be pulled on trailers to launch sites. When planning the development of Mangrove Cay Club, the first priority was to find a location closer to the Andros fishery than any other Andros bonefish lodge. We believe is the best situated fishing lodge on Andros. The location of Mangrove Cay Club on the north shore of Mangrove Cay is smack in the middle of the best bonefish habitat on Andros, giving us access to the North, Middle and South Bights, the eastern flats and the West Side of Andros, all without ever having to trailer a boat to a launch site or take you on a bone crushing ride in the open ocean. 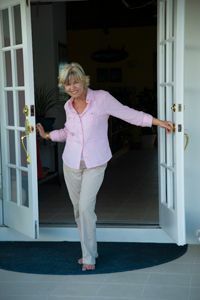 Our next goal was to develop more comfortable accommodations, finer quality meals, more attentive service, more hands on professional management, and more attention to detail than had ever been seen in Andros before. We do not believe that that you had to give up comfort to experience this fishery. We also wanted beginning saltwater anglers to be as much at home here as more experienced anglers. There was a time when most Andros guides believed the job was done when fish were spotted and pointed out. We believe that our guides also need to be able to help you catch the fish. Mangrove Cay Club guides are not only able to put you on fish, but also guide you into hooking, landing and releasing the bonefish. 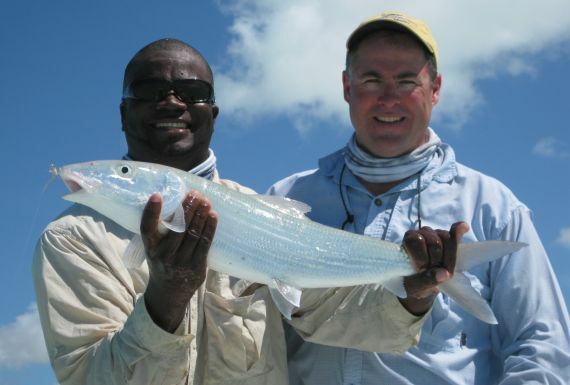 We have celebrated many first bonefish and many biggest bonefish ever. We believe we have achieved our vision. 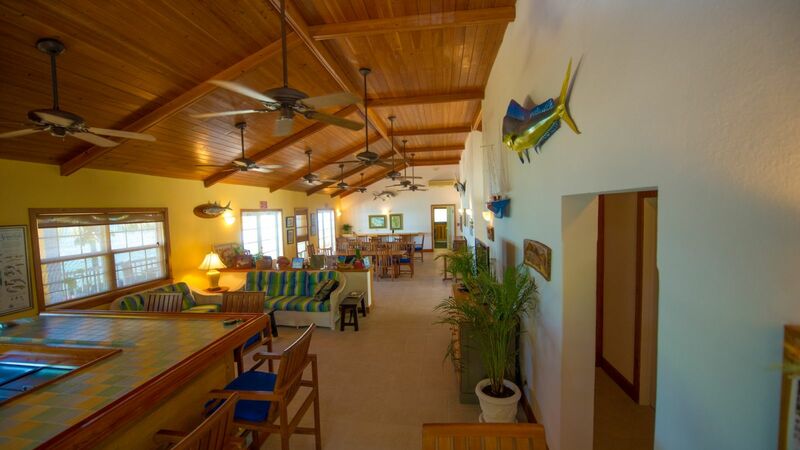 Mangrove Cay Club provides you with both world class accommodations and cuisine as well as world class guiding. You can have it all. Iyke has lived & worked in the Bahamas for many years and lives with his Bahamian family on Mangrove Cay. Liz and Iyke first worked together at Cargill Creek Lodge, forging a relationship that they expect to continue as far as they can see into the future. 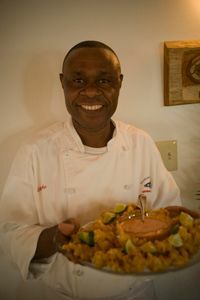 Iyke runs a great kitchen, is attentive to details and the preferences of our guests. His menus are based on the fresh seafood brought to our dock by local fishermen. Iyke travels during the off-season, sometimes working with chefs at other properties and his travels inspire variety and changes in the menu every season. Iyke’s wife, Rebecca, is a member of the housekeeping staff and they have a son named Obie.